Helping our members to extend their skills has always been a prime directive of the Club. We have RYA Instructors on our membership list and these, together with local friends, enable us to run most of the RYA courses on site. Courses are run on demand and if you are a member, you can put your name down for as many as you like. Details of the courses we run are below. To book or if you have any queries contact Richard Forder. 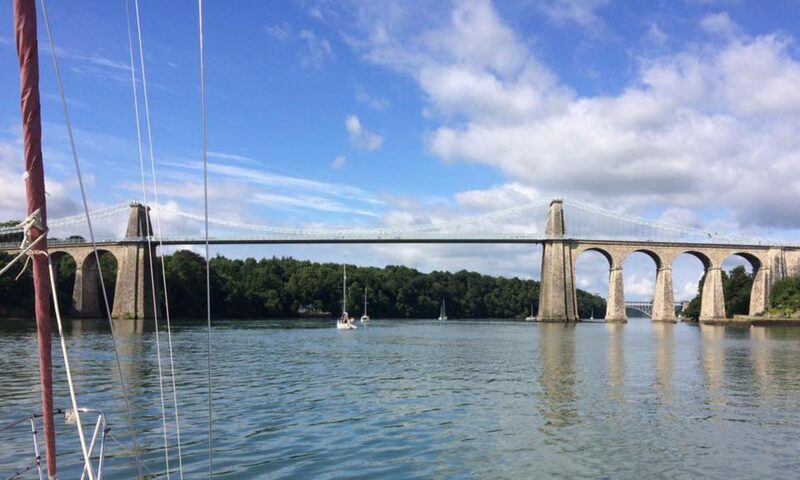 RYA Essential Navigation & Seamanship - 2 days over 1 weekend - no end of course exam. Cost: £50 which includes a student pack containing course notes. If you are new to it all, then this is a good place to start. It’s a one day course and includes the basics of GPS, chart plotters, AIS and RADAR. Around £40 per person. This is the first of the “skipper” courses and includes the rudiments of - Preparation for sea, deck work, navigation, pilotage, meteorology and rules of the road. There’s lots more and the course takes 5 days over 2 or 3 weekends. The cost, including the RYA certificate is in the region of £250. You need to have had a bit of experience as a skipper for this course, including a couple of night passages and time as the skipper. It extends the basics of the Day Skipper course, taking Passage planning, Preparation for sea, Navigation, Pilotage, Passage making, Collision regulations, handling adverse weather conditions and emergency situations to a higher level. This course needs all of three weekends (6 days), will involve some homework and exercises the brain. This course teaches you how your marine engine works, how to keep it healthy using basic checks and maintenance procedures, and how to get it started again in the event of a breakdown. It’s a one day course and is limited to six members – thus pushing the cost up to around £80. Everybody who sails regularly should have a Short Range VHF certificate. In fact it is a legal requirement if you operate one. If you have a certificate dating from before the introduction of DSC you should really take this again as a conversion course before installing a DSC radio on the boat. It’s a one day course and costs around £40 plus the lifetime licence fee of £30 (£70 in total). One day duration, valid for 3 years, at around £50, including the course booklet and RYA certificate. How the radar set works, how its adjustments and features affect the way it works, target definition, radar reflectors, types of radar display, radar plotting, the use of radar in navigation and collision avoidance. Yet another one day event, interpreting those circular blobs into land, rain and fast approaching ferries. For the cruising yachtsman who’s got it all! Position fixing by the sun & stars, ocean currents, routes and climates. We arrange this course with Plas Menai – it’s a day exploring all those things you hope you will never need to know - and you need to provide a written statement that you are fit to spend 2 hours in a pool. Are you a Sailor with lots of experience but no formal qualifications? The ICC (international Certificate of Competence) may be a useful qualification, particularly if sailing abroad or chartering. The Club is now in the position to be able to assess members for this qualification. Further details of RYA training courses.